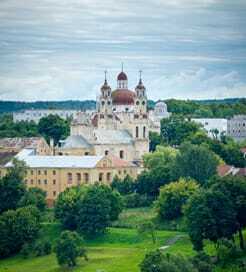 Nestling in Europe’s northeast corner is Lithuania, a country filled with baroque architecture, vast lakes and lush forests. One of the highlights is the ‘Hill of Crosses’ situated just north of Siauliai, a pilgrimage site of 100,000 crosses and giant crucifixes covering a large grassy mound. On a less busy day, it has an eerie atmosphere but it is a truly remarkable sight. It signifies the survival of Catholicism throughout the country’s tumultuous history. In the 1940s, Lithuanians would sneak past Soviet soldiers to stick their cross in the hill as an act of loyalty to their heritage. The Palace of the Grand Dukes of Lithuania in the capital, Vilnius, is a must see. Originally constructed in the 15th Century, it has since been remodelled over the centuries and you’ll find fascinating artefacts and ceremonial halls inside. Whilst in the capital, stroll through the Cathedral Square on a Sunday where locals participate in morning Mass. Overshadowed by the Vilnius Cathedral, it also hosts military parades, fairs, public events and is considered the liveliest part of the city. In the 1960s, the artist and Christian, Vilius Orvidas, created the wonderful Orvidas Garden in Salantai, featuring religious sculptures and carvings. It was an act of religious expression against the Soviet rule. A testament to Lithuania’s wonderful scenery is the Aukštaitija National Park in the east, which is home to 200-year-old pine trees, 48 species of birds and 160 lakes. 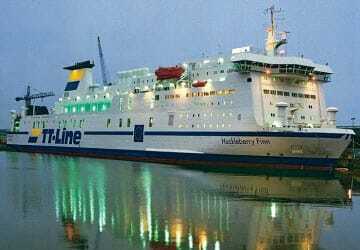 There are daily ferry routes to Klaipeda departing from Karlshamn in south Sweden, which take around half a day and from Kiel in northern Germany, which take slightly longer. For more information, please visit our Ferries from Germany to Lithuania page.